After some rumors surfaced that Apple might be upgrading its MacBook lineup this year, the Cupertino company has gone ahead and launched its upgrades for the MacBook and reduced prices for the 5K Retina iMac launched last year. In fact, Apple’s released an all new cheaper Retina iMac that’s basically the same package as the high end version, with a few takes. The high end Retina iMac sees its price reduced by $200 to $2,999. 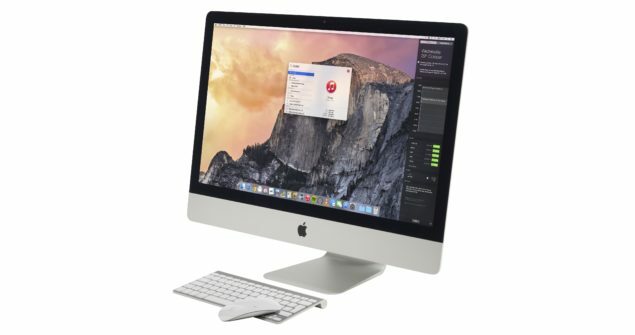 The cheaper Retina iMac won’t be using Apple’s Fusion Drive and will instead be shipping with a standard 1TB hard drive. In addition, it’ll also be a replacement for Apple’s non-Retina iMac, which marks a slow introduction of Retina displays into the company’s product lineup. It’ll also end up costing you $1,999, which should be as low as the company will price its 5K Retina iMacs. Coming towards the MacBook, Apple’s finally introduced Force Touch to the 15 inch Retina MacBook, alongside a specification increase. The all new Force Touch trackpad allows for a greater user interaction with the notebook. It allows for users to decide what force the trackpad should register as a click in addition to delivering haptic feedback across its surface area. Processor upgrades on the MacBook now include a base model with a 2.2 GHz Intel Core i7 which can be upgraded to 2.5 GHz, for a price tag of $2,499. The MacBook hasn’t been upgraded to Broadwell though, since it isn’t available in quad core just right now. Other specifications configurations include a choice between Intel’s Iris Pro graphics and AMD’s R9 730X GPU, and storage configurations of 256 and 512 GB. So if you’ve been waiting for Apple’s Force Touch upgrades or an all new MacBook, head over to the company’s retail outlets to get yourself one. And let us know what you think in the comments section.